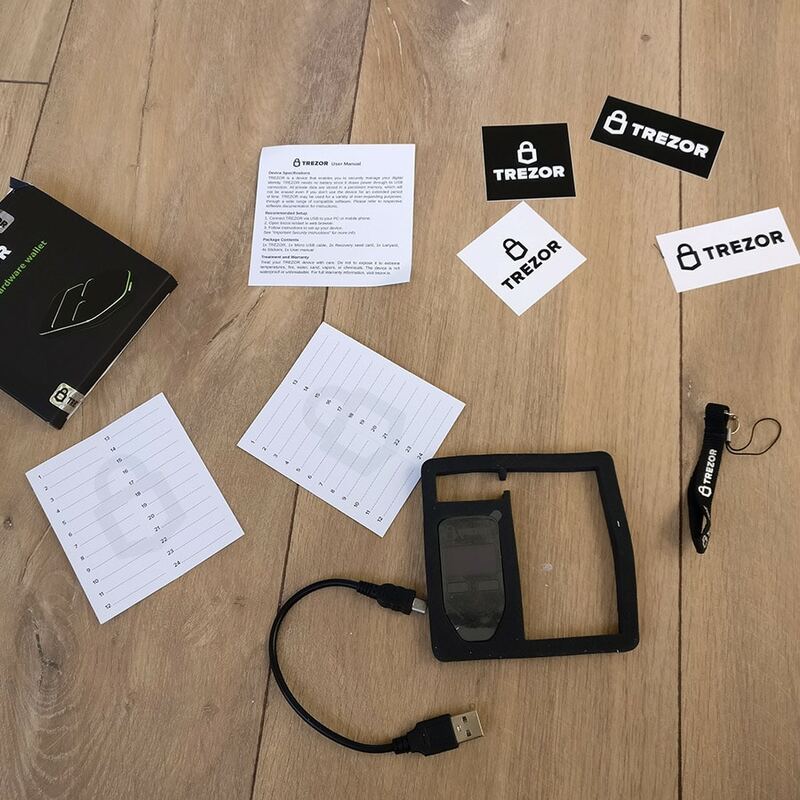 In this manual we will explain how to install your trezor hardware wallet. 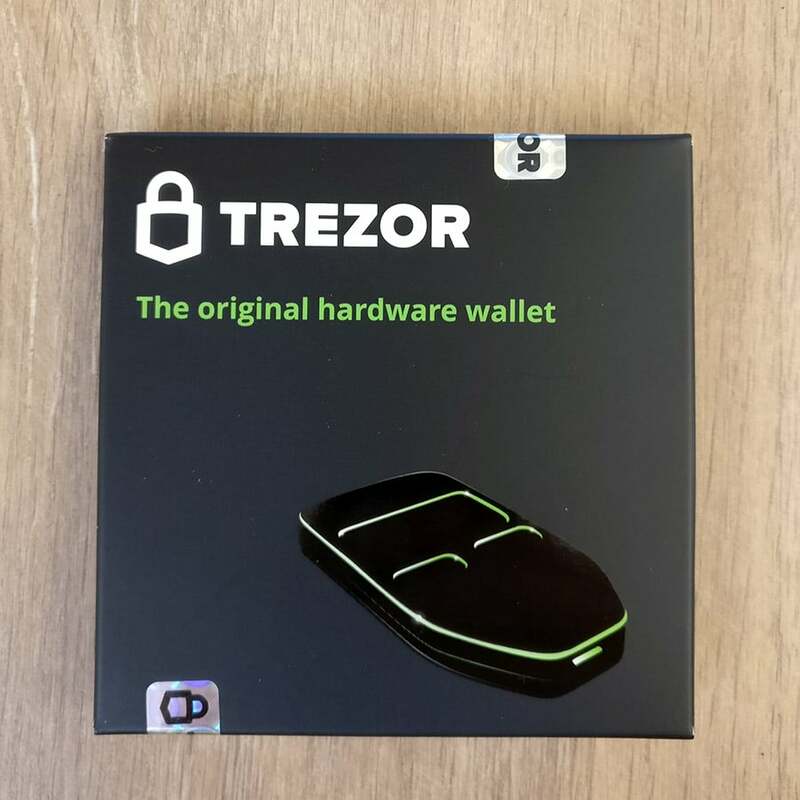 TREZOR wallet is delivered in a small box with security seal. This to prevent anyone can tamper with the contents. As an official reseller we buy directly from the manufacturer. Never use your product in case the seal is broken. You will find a small rope, a USB cable, a paper leaflet for your 24 word seed and a few stickers. Also a brief manual is included. 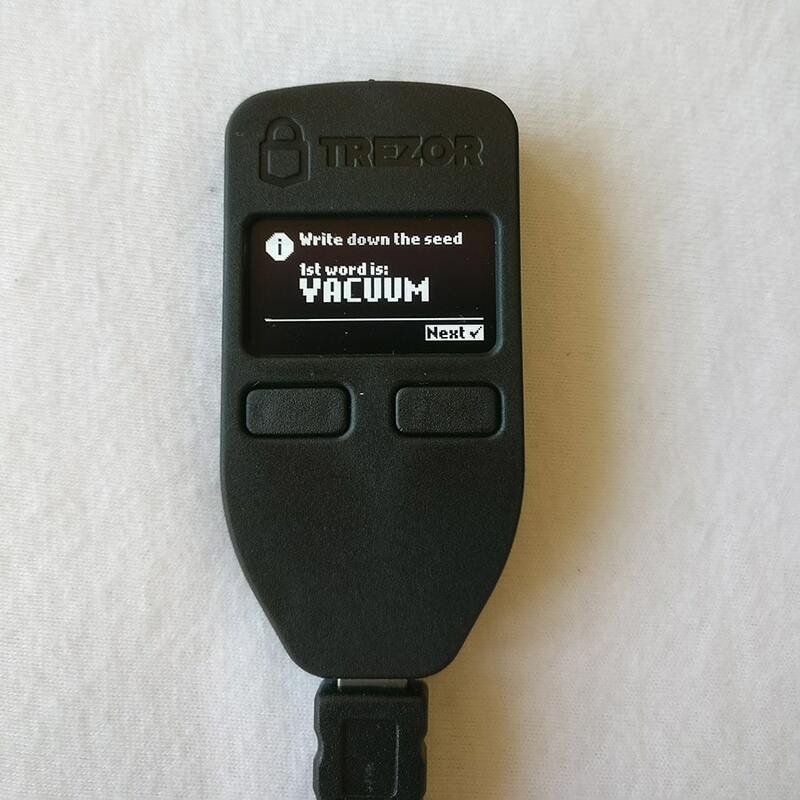 Step 2: Go to https://trezor.io/start/ for more information, or go to https://wallet.trezor.io/ to strait straight away. Step 3: Choose a name for your device and continue. 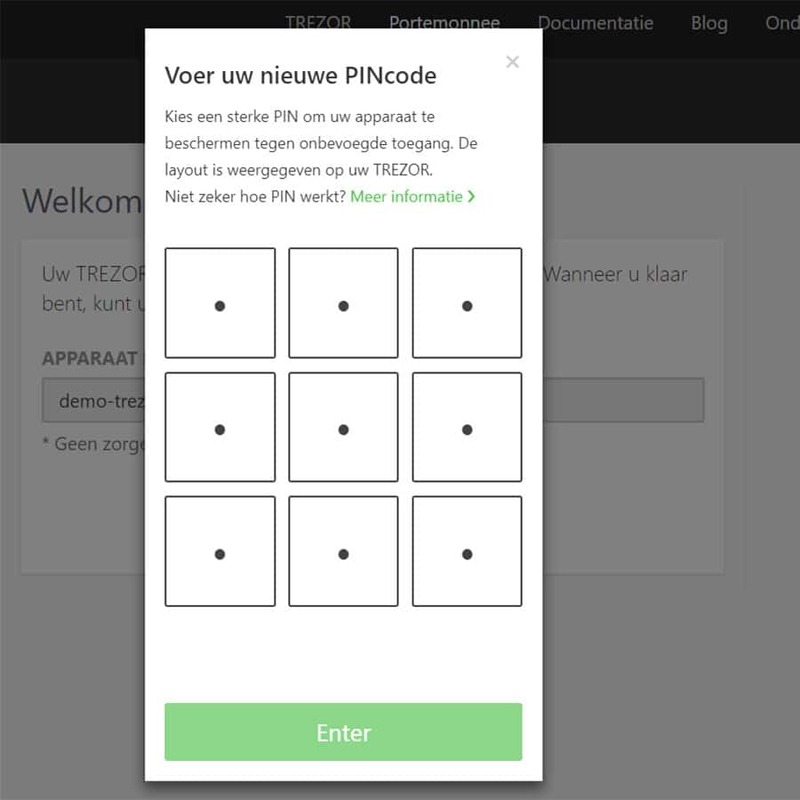 Step 4: Choose a 4-8 digit pincode. To verify you have to put this in twice. 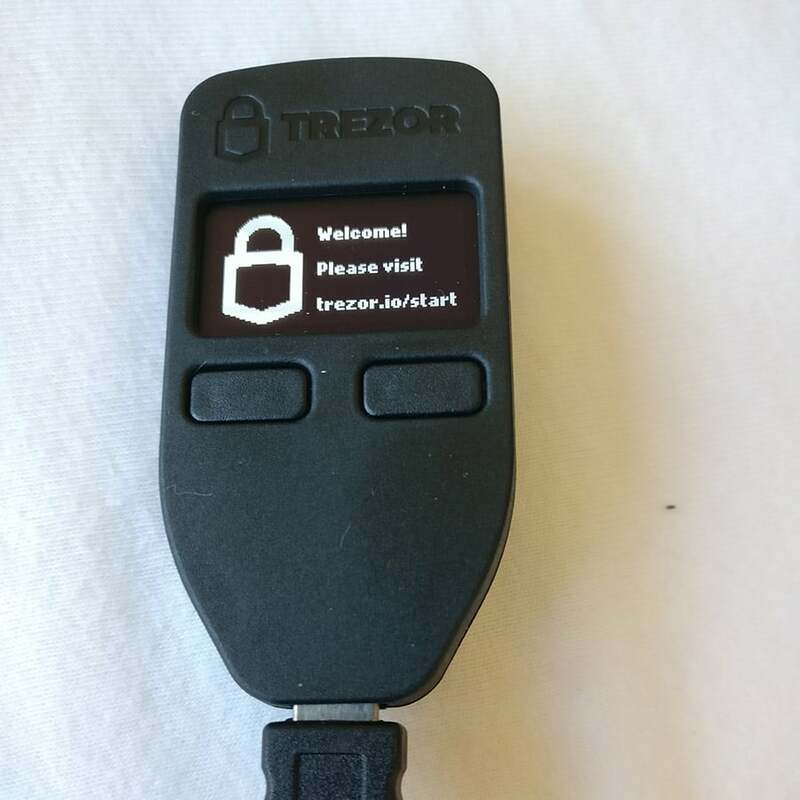 The numbers are randomly shown on your trezor device to prevent any mallware from spying on your code. Step 5: This step is critical and should be done carefully. The 24 words you write down serve as the final backup to your cryptocurrencies in case your hardware wallet gets damaged or lost. Step 6: Double verify the words and confirm. Your wallet is ready for use! After installation you might want to get started straight away. You can already transfer bitcoins to your bitcoin-address. Coinbase – Biggest in Europe, easy and secure.